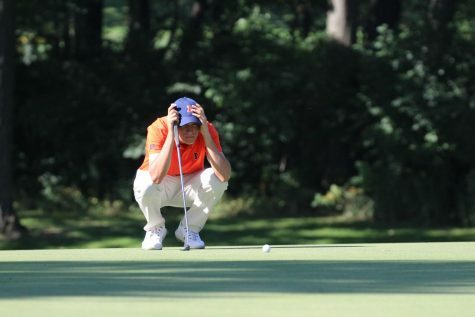 Illini women's golfer Dana Gattone tracks a putt. 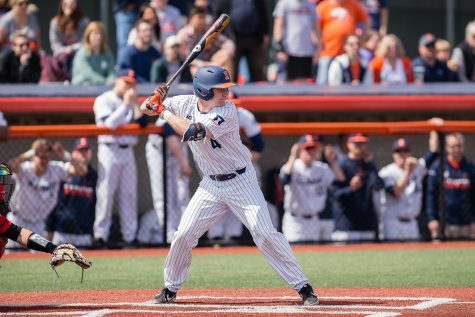 Gattone stands at 4 foot 10 inches and came to Illinois from Saint Viator High School. 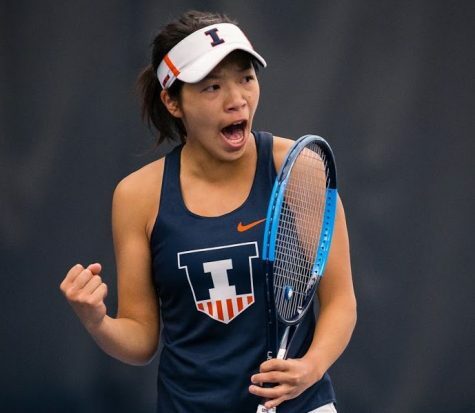 After Dana Gattone finished the 18th hole of the Illinois High School Association state championship, Saint Viator High School head coach Mick Drewes walked over to her with a University of Illinois hat, and he asked for an autograph. Gattone started crying. Her golf career at Saint Viator, a Catholic school in Arlington Heights, Illinois, had come to a close. And she was about to enter the next chapter of her life: she was headed to play Division I golf. So some coaches did not think she would succeed at the collegiate level. In fact, she traveled to the East Coast from her Addison, Illinois, home to have one coach from a team that was ranked around 160th in the nation tell her she was not good enough. But looking back, those coaches who doubted Gattone may want to reconsider. Golf was not always Gattone’s main sport. But she wanted to compete in a sport that she could play for the majority of her life. So, in the summer of her eighth grade year, she made the tough decision to leave her teammates on the gymnastics team and pursue golf. Would she miss gymnastics? No, she’d just miss her six-pack abs. She attended a golf open house for prospective golfers at Saint Viator. Drewes heard about Gattone from her brothers, Rick and Joe, who were members of the Lions men’s golf team. “When she walked away, I thought, ‘Oh my god, that kid looks like she’s 10 years old.’ She was so little,” Drewes said. Drewes, like some NCAA coaches, was a bit skeptical about Gattone’s talent. But a year later, at the Saint Viator women’s golf tryouts, he was in for a surprise. On one hole, Gattone drove one shot left into some trees. Along with her mom, Sue, Gattone went searching for her ball. Drewes spotted the pair in the woods and told Gattone he liked her chances of parring the hole. She drove the ball out of the woods and, just as Drewes predicted, parred the hole. That was only the beginning. Gattone kept getting stronger and better, thanks to what Drewes called an “unbelievable” work ethic and the upper-body strength she retained from her multi-sport experiences. She may have needed clubs with a shorter shaft to accommodate her size, but most observers couldn’t tell. “For such a tiny person, she packs a punch.” Susan McNamara, an assistant in the Saint Viator High School’s athletic department, said. After a while, Drewes started asking her for advice — he said she putts like a professional. Gattone lives near the Medinah Country Club, the home of five PGA tournaments and the 2012 Ryder Cup. She often went there and practiced with her brothers and Blue Kelly, a member of Tulsa University’s 1987-88 NCAA championship women’s golf team. Kelly was, as Gattone says, another mother. All Gattone’s hours of practice with Kelly paid off. But high school days move quickly, and as a senior, Gattone was still unsure about which college she wanted to attend. “This is only the beginning,” Kelly said after mailing her 1984 USJG hat clip to Gattone to show how proud she was. This was, in fact, only the beginning. 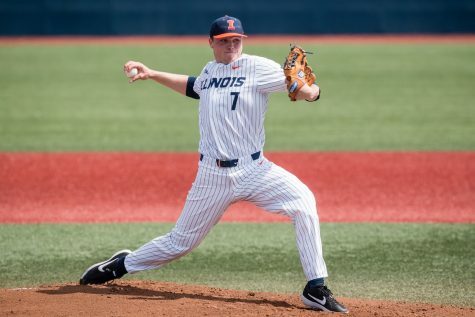 Gattone started getting attention from several Big Ten schools, including the University of Illinois. Drewes was contacted by Illinois women’s head golf coach Renee Slone, who competed against Kelly in college. Slone expressed interest in Gattone’s continued improvement on the course with little golf experience. Gattone decided to visit Illinois. She met most of the women golfers, unlike any other school she visited. She could relate to the Illini, and the coaches and administrators made her feel welcomed. Plus, she already knew then-freshman Stephanie Miller, a native of Elgin, Illinois, from golf tournaments. Things just seemed to click at Illinois. Slone then “went out on a limb,” according to Gattone, to present her an irresistible offer. 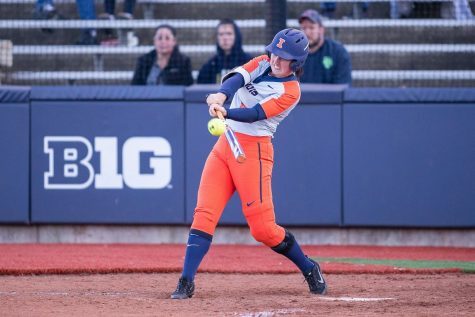 She convinced Gattone to verbally commit to Illinois in September and sign a letter of intent in November of her senior year. Gattone felt Slone’s trust in her to succeed. Gattone promised she would not disappoint her new coach. 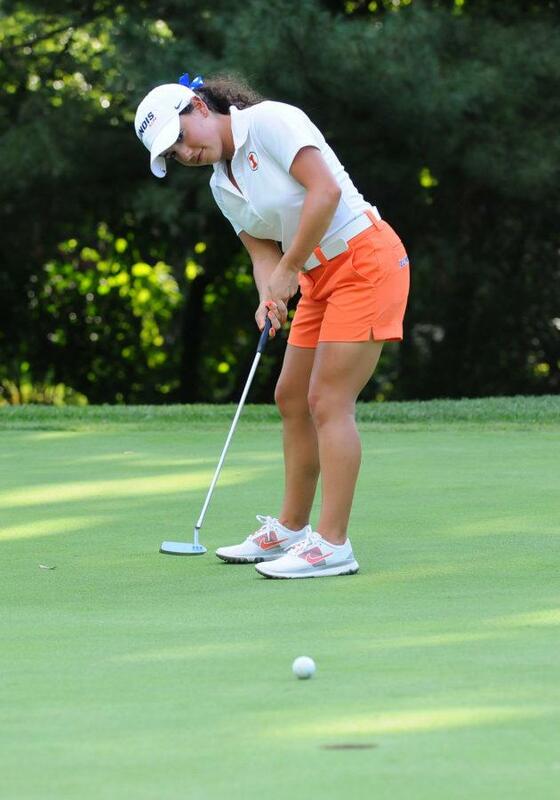 Now a sophomore at Illinois, she can hit a 3-wood onto the green from 190 yards. She says she can bench press more than her body weight. Last season, she tied the ninth-lowest single-round score and shot the eighth-best stroke average in school history. SOShe won her debut tournament, which included a hole-in-one. SOAll the life experiences of being turned down by coaches to now competing in a Big Ten school made Gattone even stronger. “It’s a really accomplishing feeling,” she said. “It just shows me what I can overcome. It kind of puts no limits on what I can do in the future.”? In a previous version of this story, the photo caption incorrectly spelled Dana Gattone’s name as Gotten. The mistake has been corrected and The Daily Illini regrets the error.